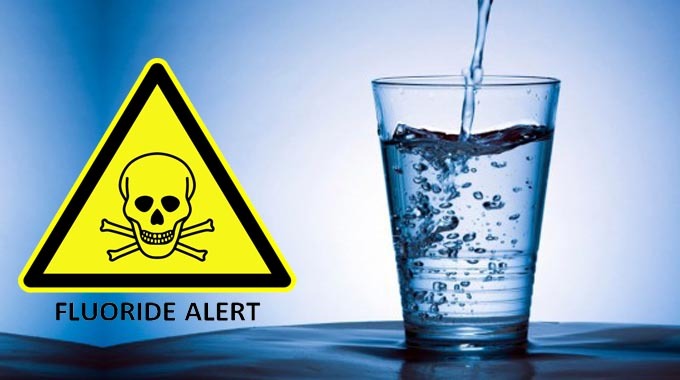 Fluoridation of public water supplies as well as the abundance of fluoride in food and dental products have become more controversial in recent years as more and more people realize that the consumption of fluoride does much, much more harm than good. The issue made headlines three years ago when a Harvard University study found that children living in areas with highly fluoridated water had “significantly lower” IQ scores than children living in low fluoride areas. Though the Harvard study had a lot of clout due to the university’s prestige, more than 50 human studies and 100 animal studies have linked fluoride consumption to brain damage. Some of these studies date back to the 1940s, when mass public fluoridation was just beginning. Now a new study has added to growing scientific consensus that fluoride is toxic and has no place in our water or food. The study was published in the Journal of Epidemiology and Community Health included the largest sample population ever analyzed regarding fluoride consumption. The results showed that people drinking fluoridated water were 30% more likely to have high levels of hypothyroidism compared to areas with low, natural levels of fluoride in their water. The study’s findings suggest that as many as 15,000 in England, where the study was conducted, could be suffering adverse health effects including depression, weight gain, fatigue, and aching muscles as a direct result of fluoride consumption. Ending the fluoridation of the water of these communities, however, would easily solve this problem. If there is so much evidence against fluoridating water, why does it continue? Part of the answer can be found by looking at the aluminum and industrial fertilizer industries. The production of aluminum as well as industrial fertilizers produce sodium silicofluoride and hydrofluorosilicic acid, which are then sold to the government to be added to public water supplies. These waste products, incidentally, are classified as hazardous wastes until they are in public water, where they are then classified as helping to “prevent” cavities. However, added fluoride to water does not actually reduce the incidence of cavities at all as it actually causes a form of tooth decay known as dental fluorosis. The Center for Disease Control and Prevention (CDC) estimates that about 41% of US children between the ages of 12 and 15 suffer from dental fluorosis. These industries benefit handsomely as the fluoridation of water allows them to receive vast sums of money by selling their toxic waste at a premium price to the government. Fluoridation of the public water supply was once called “public murder” by Dr. Dean Burk, co-founder of the US National Cancer Institute and head of its cytochemistry department for over 30 years. Burk backed up this claim after government-funded studies in the 1930s also showed that fluoride consumption led to abrupt increases in the incidence of cancer. However, these government studies were classified and suppressed as corrupt government agencies plotted with the aluminum and fertilizer industries to generate profit by poisoning the citizens of the United States, as well as the other countries that also fluoridate. If you are living in an area that fluoridates water, consider buying a water filter that removes fluoride. However, buying a filter is not enough as people must work to inform themselves and others of the dangers fluoride presents to public health so that the public can demand an end to this dangerous, criminal, and corrupt practice. Previous Post Fluoride-Disparaging Studies Rarely Publicized. Why?